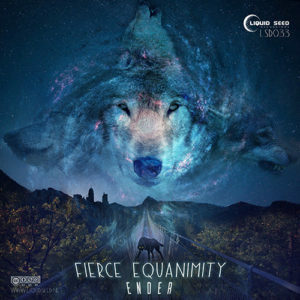 Liquidseed feels blessed to be planting our next seed, Ender‘s latest album Fierce Equanimity. This special full-length release is a mixture of downtempo, IDM, cybernetic psybreaks, and drum ‘n bass sounds with unique emotional characteristics. This is music designed to speak to the heart, simple and complex at the same time. Dedicated to life on our mothership earth with the deepest thanks to the heart of every living being. Face yourself, the true fierce equanimity! Artwork by Morgan Brooke Design. All tracks written, produced, and mastered by Jesse Sugden. MP3 Download | FLAC Download | WAV Download · Download count: 9,150. Wow! And WOWWWW! Great to hear a super production from fellow Aussies. with some arse kicking dynamics for once. Thank you Ender and Co. Thank you for the legendary tunes! A fine achievement! Ender, with his recent releases, has earned an honorary place on the Downtempo Board.